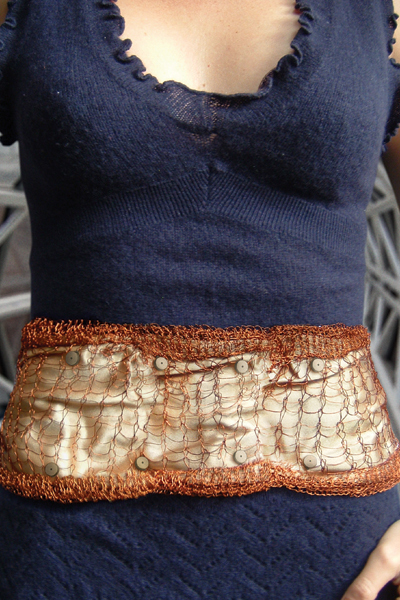 This hand crocheted copper wire belt transforms portable audio into embodied music that is felt through the skin as well as heard. Felt uses a customized microcontroller to interpret the audio and adjust the internal frequency of micromotors that then vibrate the copper wires in sync with the wearer's sound track. Too often technology disassociates us from our body – Felt is made for the body.